Cleaning Up a Rusty Old Motorcycle? Try this Age-Old Remedy! This weekend I was at Barney’s (not Barney’s Beanery) in Pasadena, and I struck up a conversation with a couple of bikers from Australia. A couple of beers in, we were all mates. I found myself laughing from time to time at the nuances in our language differences. (Do you know what “crack a fat” means? I didn’t.) One of the miscommunications reminded me of a story from years ago. 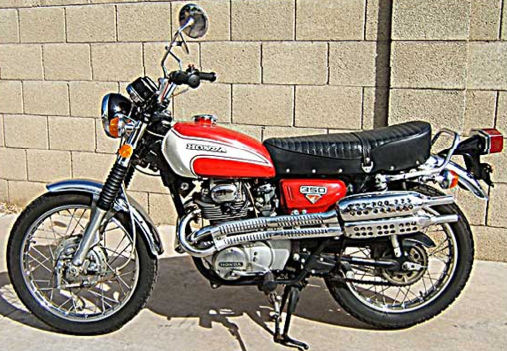 My first motorcycle was a red-and-white 1973 Honda CL350 “Street Scrambler.” I bought it for $100 — not running. I knew nothing about motorcycles (or engines for that matter) but was determined to bring this old ghost back to life. So my younger brother and I bought a Clymer manual and a set of metric wrenches, and got to work on it. We even enlisted the advice of Paul, an old retired mechanic from our church. He came to our house one Saturday afternoon, and after kicking the tires a bit, informed us that it was a great purchase, and that with a little love (and new plugs and a good carb cleaning) the old girl should be good as new. More or less. We were thrilled with this news, but my brother had other worries. 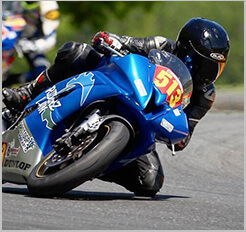 From sitting in storage for over a decade, the bike was looking pretty beat. After all, how is a bike that looks decrepit going to help you get girls? Paul looked and shrugged. “Elbow grease,” he answered.